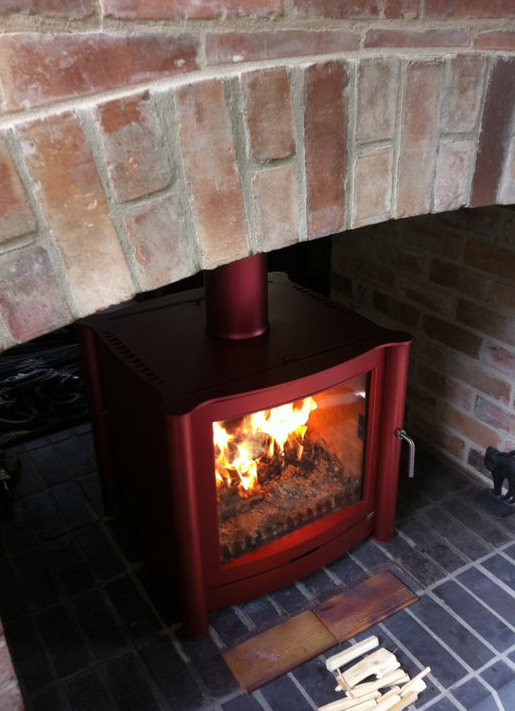 The modern and contemporary wood burning stove is the Firebelly FB1 Wood Burning Stove from Firebelly. Designed and hand-built in the UK this modern take on the wood burning stove breaks from convention. People who have owned previous generations of wood-burning stove will know the stereotypical look of a wood burning stove, small squat cast iron block sitting in the fireplace with a small viewing window offering limited if not poor visibility of the impressive wood fire inside. The Firebelly FB1 is unlike traditional stoves with an impressively large viewing window and modern design featuring an unique airwash system that helps keep the large viewing window clean. The well propotioned stove available in a range of colours, Charcoal, Pewter, Matt Black and Metallic Black which provides maximum flexibility to fit in with most living spaces. The heat reflective brick lining of the FB1 keeps the firebed at an optimum temperature and allowing the wood to burn more efficiently with a maximum heat rating of 6kW and efficiency of up to 78%. A solid fuel kit is also available for this fire, allowing the flexibility of burning coal or charcoal briquettes while convection channels either side of the fire allow more heat to be evenly distributed throughout the roon. Intuitive controls and a stay cool handle also mean this stove is simple and easy to operate. The Firebelly FB1 is also available with a logbox which raises the height of the stove by 300mm to create a convientient and safe storage location for logs. The design of the logbox is in keeping with the clean and efficient design of the fire and simply bolts onto the bottom of the stove. 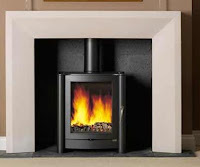 What Is A Balanced Flue Fire?